The Ice Maker. Vietnam, 2012. I like to think my photography is constantly evolving. Along the way, I occasionally make a photograph that surprises me. There have only been a handful to date mind you but, I immediately recognised them as ‘breakthrough’ images. The image above is an example. I call it ‘The Ice Maker’ because that is what the man does for the fishing community of Duy Hai outside Hoi An, Vietnam. I’m reliably informed he has only left the village on one occasion in his life to visit Hoi An. This was at the behest of the French photographer, on who’s workshop I took this image, rather than his own volition. This image was a breakthrough for two reasons. Firstly, the image virtually demands a high contrast b+w treatment. This woke me up to the fact that I could bring a street photography aesthetic to travel photography – rather than seeking ‘pretty’ pictures. 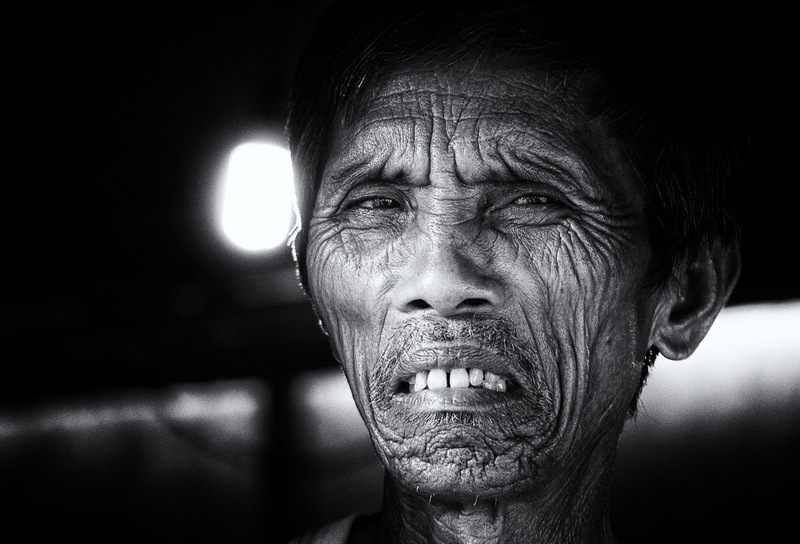 I immediately switched to a grittier street/documentary style for my travel photography. Given my familiarity with this style of imagery I am at a loss why I hadn’t done this before. Perhaps it was because, on this occasion, I was on a photography workshop being pushed by a very assertive Frenchman (thankfully). Secondly, this was one of the very first photographs where I perhaps matched up to Capa’s famous dictum about getting close. I know there is debate about whether he meant physical proximity or embeddedness with the subject, but I definitely mean the former. Pointing a camera in someone’s face, especially when they’ve seen you, is a hurdle all urban photographers have to get over. This was the first time I did that. In fact, I was actually stood about 10 feet away using a zoom lens at 105mm. Trust me, that was plenty close enough given the look on his face and the machete in his hand. So, a significant image for me because it changed my vision and willingness to take risks to get the photographs I want.